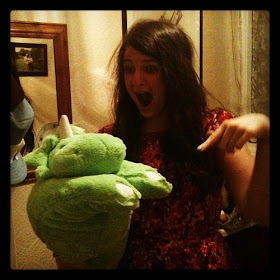 t*rexes and tiaras: Why Sew? All of the Instagram community sewing tags recently have had me thinking about sewing, and why I do it. It's one of the things which I get asked about most often, but I'm not sure whether I've ever shared my thoughts on it here, although I know it's obvious that it's one of my hobbies. Having never really been one for "fitting in" when I was a kid, I would always look for ways to alter, embellish or change the way my clothes looked. When I was in my teens, I'd try to make the things which I'd imagined, but having no background knowledge of textiles or garment construction, they never quite turned out how I'd imagined. When I finished Uni, I took evening classes in dressmaking and it was as though something had suddenly clicked. I traded in my Nan's ancient Jones machine and armed with a new machine all of a sudden, this language of pattern symbols and markings made sense to me and I was ready to make the sorts of clothes I wanted to wear, but had never managed to find on the high street. I have always been drawn to quirky prints, 50s styles and shopping for my own patterns and fabrics enables me to make exactly what I want. I tend to share my makes on my Instagram page. Another benefit for a self-confessed shopaholic like myself, is that it can work out so much more cost-effective to make your own clothes, particularly if you have access to decent fabric shops, markets or know the places to shop online. As a serial high street shopper, I'd often spend £60+ on a cotton dress, whereas I'll tend to spend less than 1/3 of that on the materials needed to make one of my own, which I know is likely to fit me better as it's made to my actual measurements. I'm quite a creative person and always like to be *doing* something, so it's great that I can spend a couple of hours cutting out and putting together something new to wear at the end of it. I also love the fact that there is always something new to learn, be it tackling a new garment, some new method of finishing off, or getting to grips with a new function on my sewing machine. With the recent popularity of the Great British Sewing Bee, Pinterest and 'handmade' in general, dressmaking has seen something of a revival recently and it's a lot easier to get started than it once was. So many haberdashery stores now run, or at least can advise you on classes and local teachers. In terms of sewing machines, I believe it's always best to go for the best that you can afford. I bought mine on offer last year and it's a lot more fancy than I'd planned to go for, but I'm slowly learning more about it's functions. Hopefully that's given you a couple of the reasons why I like my hobby so much, and maybe even inspired someone else to give it a go. Aw, thank you! Definitely get the machine out and have a go! Your dresses are always so beautiful, I hope my skills are as good as yours one day. I like making my own clothes because I am so fussy - I know exactly what I want, but I can either never find it, or if I do it costs a fortune. Like you say, it's a good way to make your clothes personalised to your tastes, and it's a brilliant way to show your style. Plus, you have a dress no one else has. Thank you. I'm like you, I like to have an idea in my head and make it happen. What's really noticeable about your dress-making is how it enables you to dress in a variety of fabrics and patterns that perhaps wouldn't be as easy to track down on the high street. 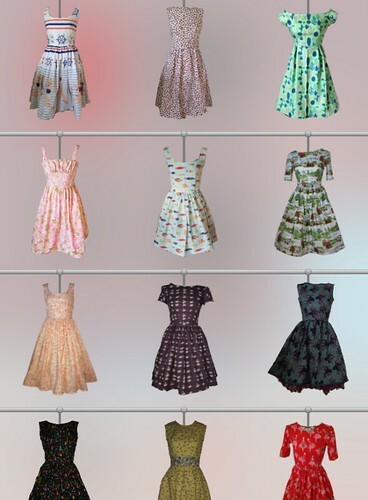 I suspect if I made my own dresses, they'd just be one striped or polka dotted number after another! This is true, I'm a bit odd in my fabric choices, maybe. I've attempted a few things but my biggest downfall is finding the right fabric, I'm super fussy and it has to be 'just so'. It's obviously much easier to get good fabric these days, especially if your 'me-makes' are anything to go by! I'm always so impressed with everything you make, and you seem to whip them up in no time at all! There's a huge range of options in quilting fabric but I think it's been a bit of a long debate as to whether that's appropriate to use to make garments. I don't have a problem with it - that's how I end up with so many different prints etc. 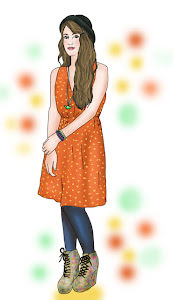 You should be a 'poster girl' for dress-making. You're amazing!